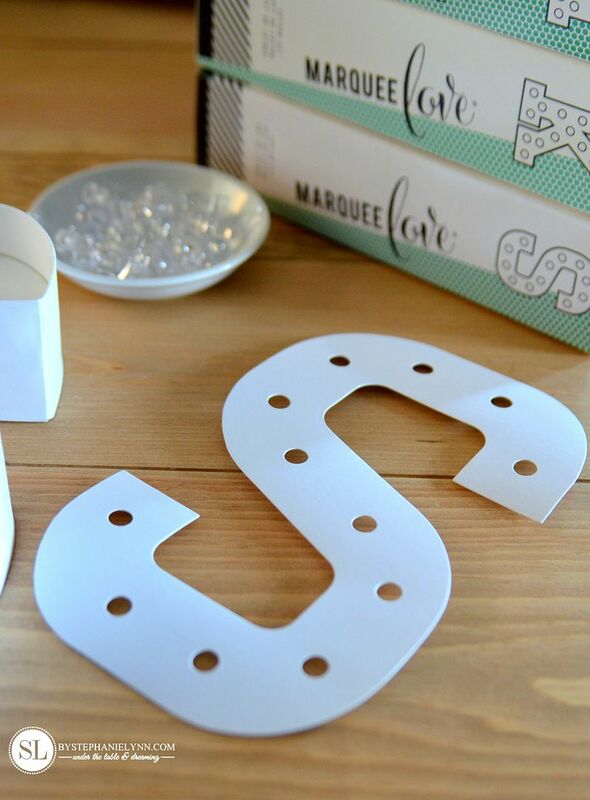 DIY Marquee Letters – #hsmarqueelove kits | Marquee letters are one of my very favorite trends right now. 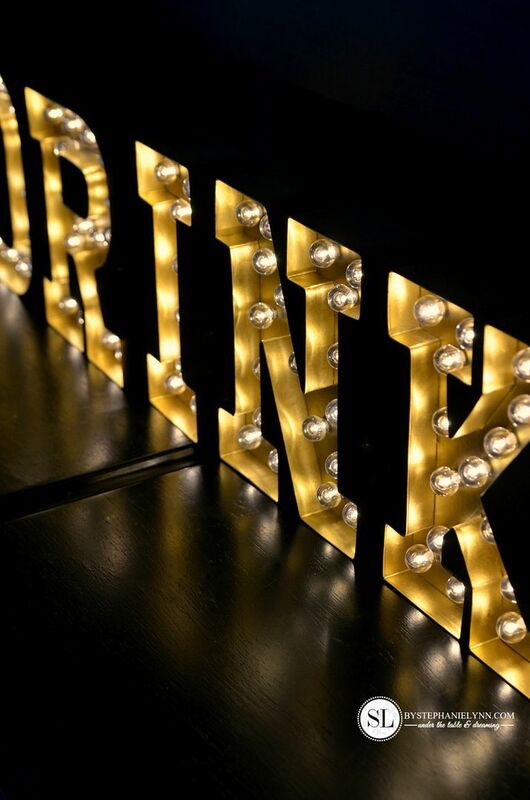 The eye-catching bright lights and custom messages just scream fun. 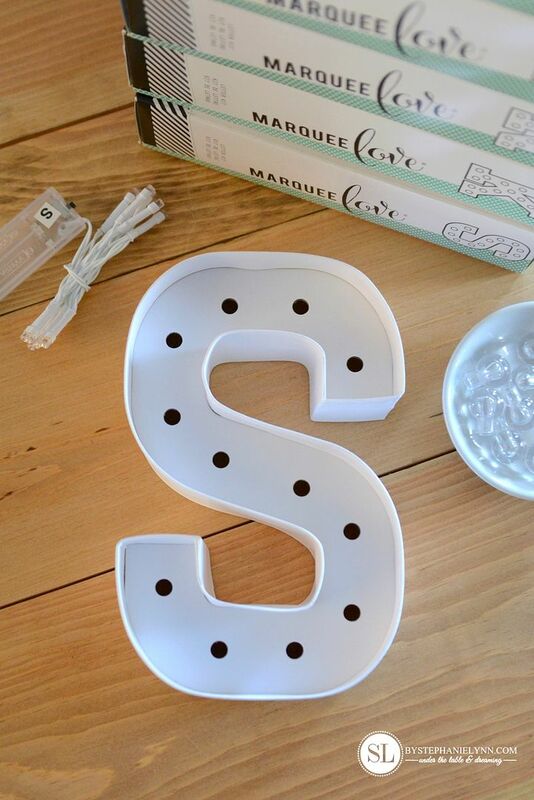 I love the idea of using them for party decor and have been looking for ways to create a set of letters to use when we entertain. 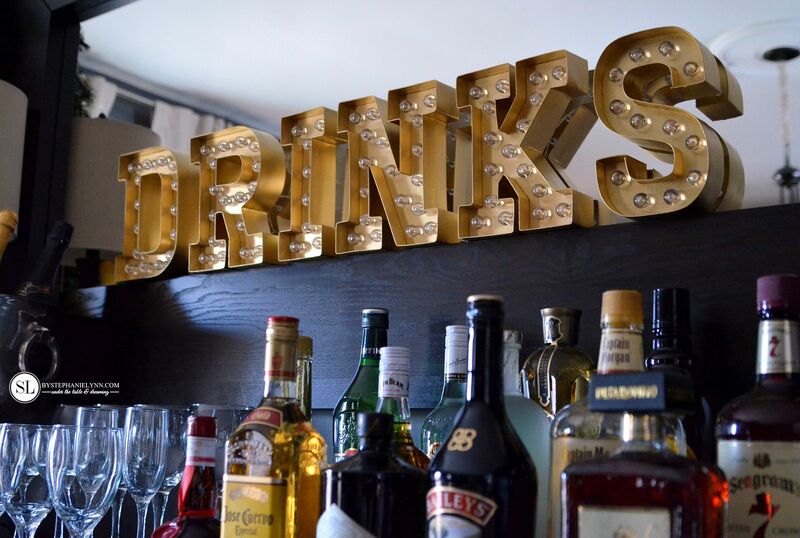 A set of letters that can be used over and over, for any occasion, to simply let our guests know where the drinks are! 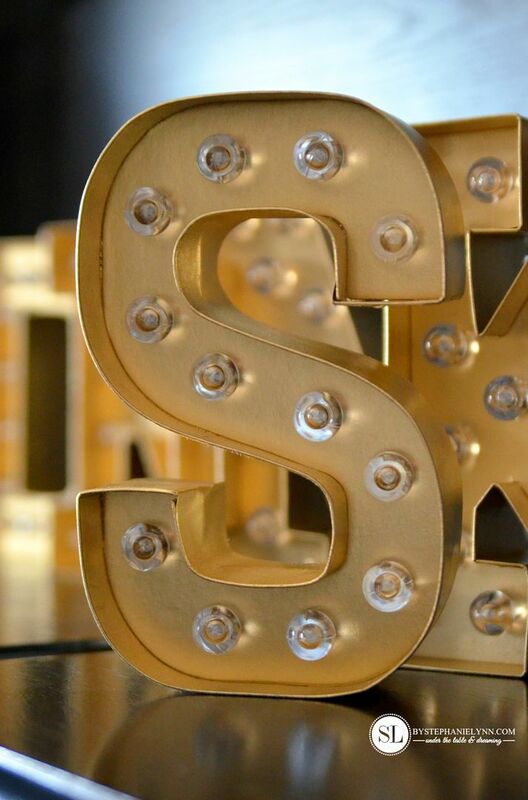 I’ve seen countless ways to make marquee letters on your own, however the new Heidi Swapp Marquee Love Collection is a complete game changer. 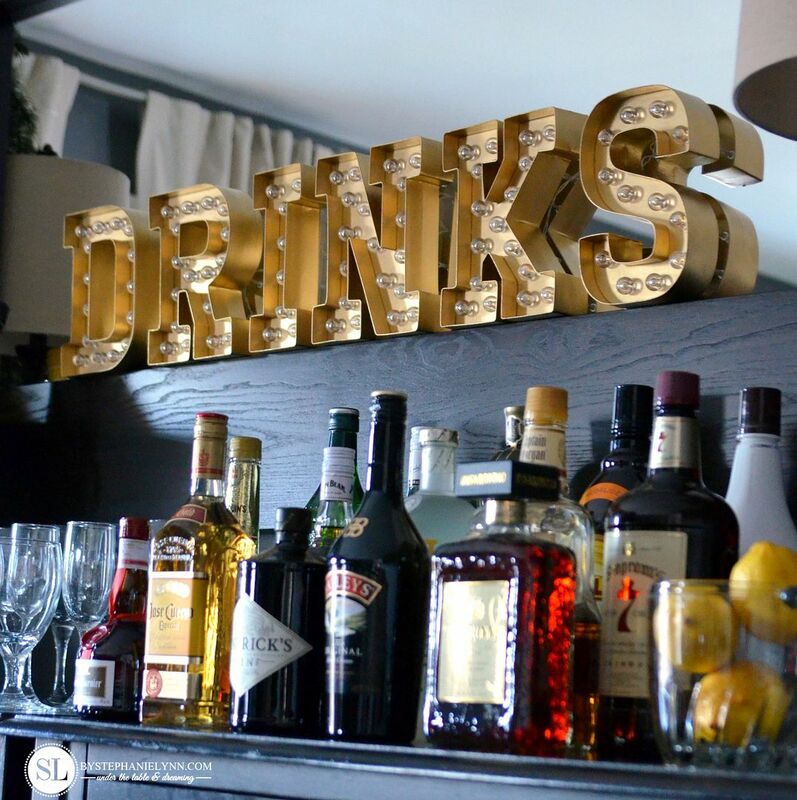 I received a set of letters from Michaels and creating your own custom message marquee has never been easier. 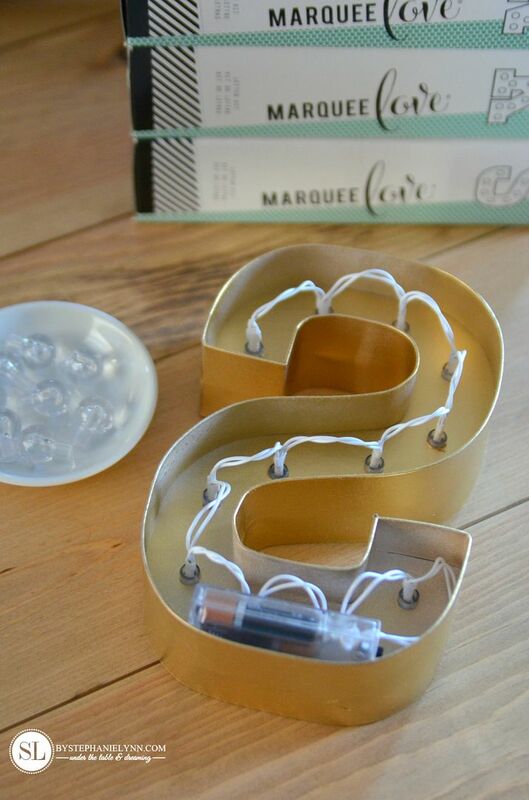 The Marquee Love Letters are sold in kits. 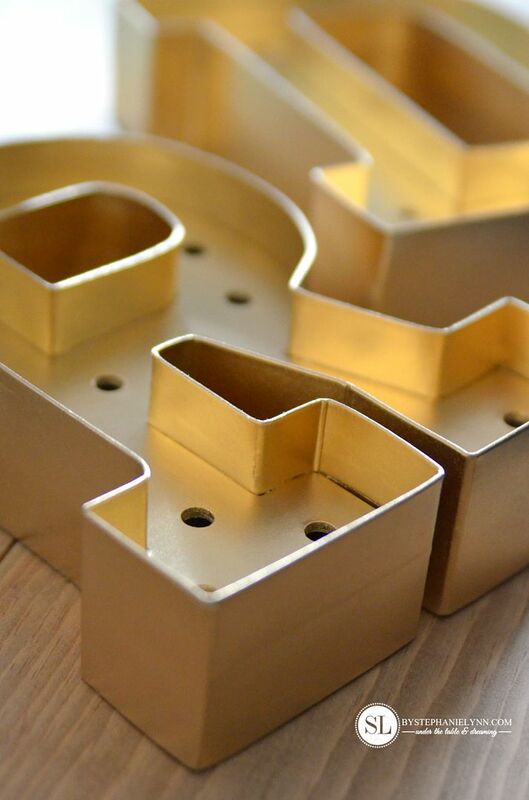 The kit also includes a template which can be used to help customize the letters. 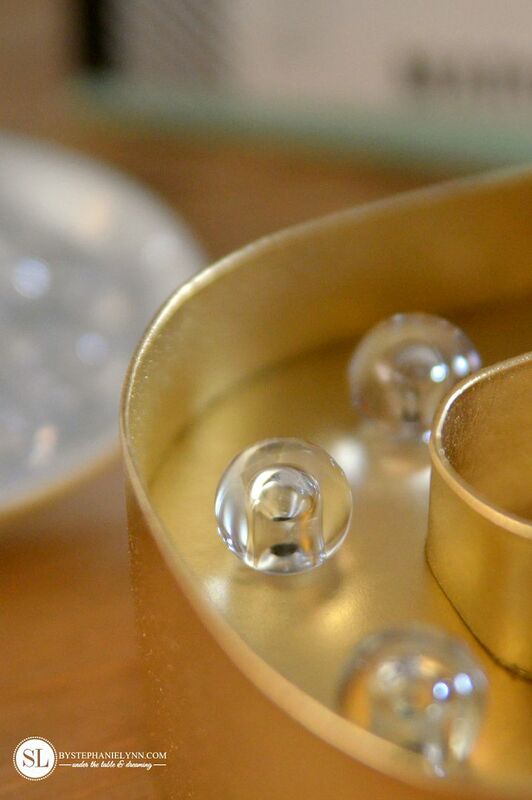 The embellishment possibilities are endless – from paint to glitter and everything in between. 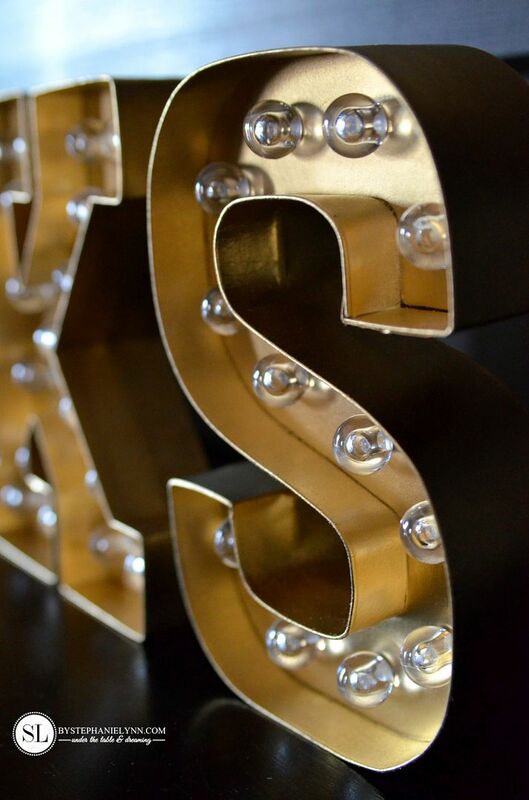 I set the template aside and decided to give our letters a coat of my favorite gold spray paint . 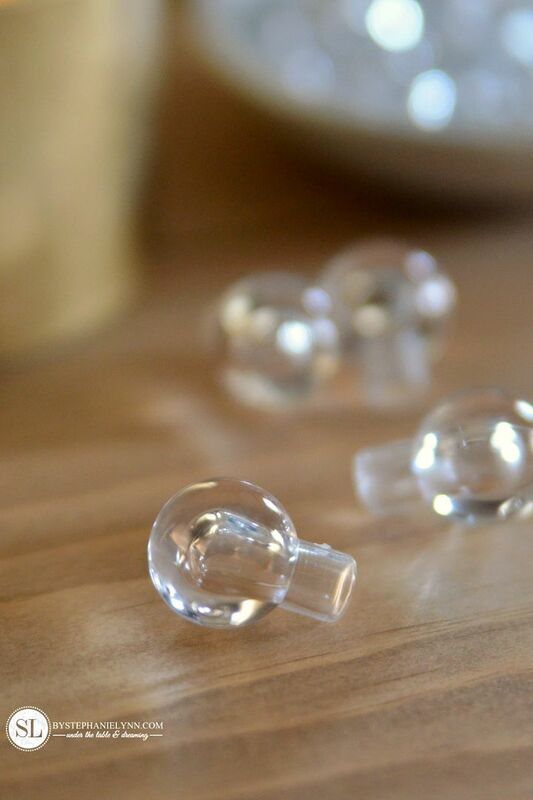 Once the letters have been embellished to your liking it’s time for the bulb caps to be inserted. 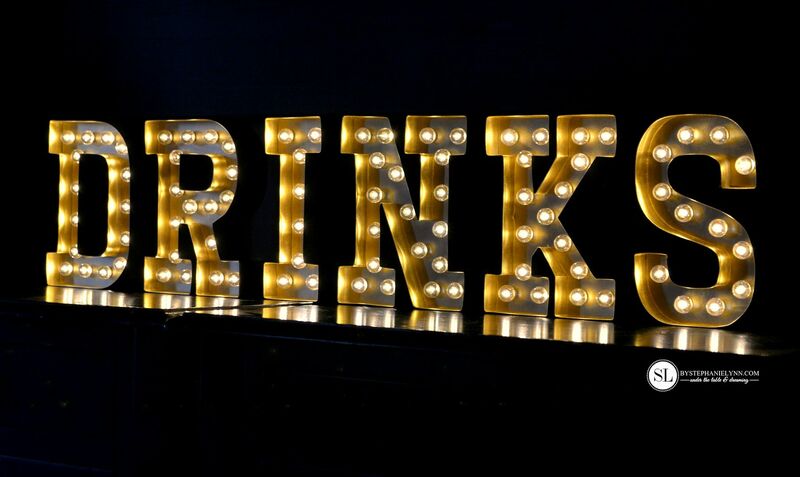 The clear caps are made of plastic and are what give the letters the classic, authentic look of a real marquee. The caps pop right into the holes that are already in the marquee. 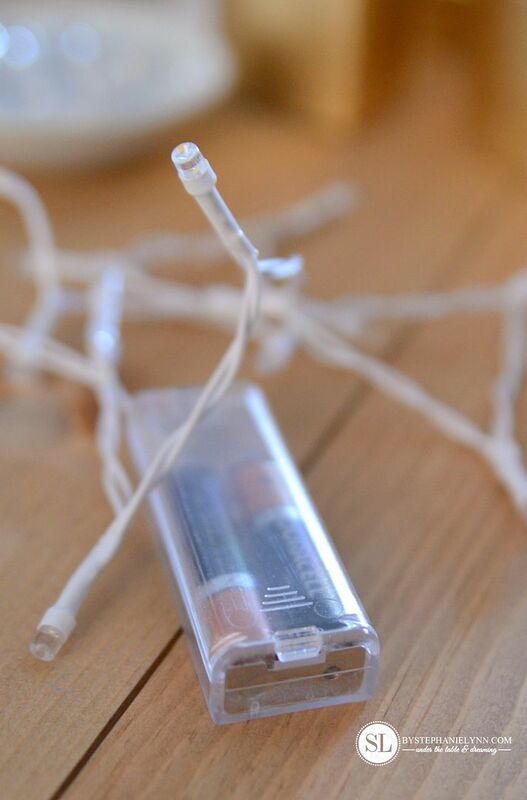 The LED light packs that come in the kits are battery operated. Just for reference – I have left a set of the lights on for at least 24 hours and they are still shining, on the same batteries. 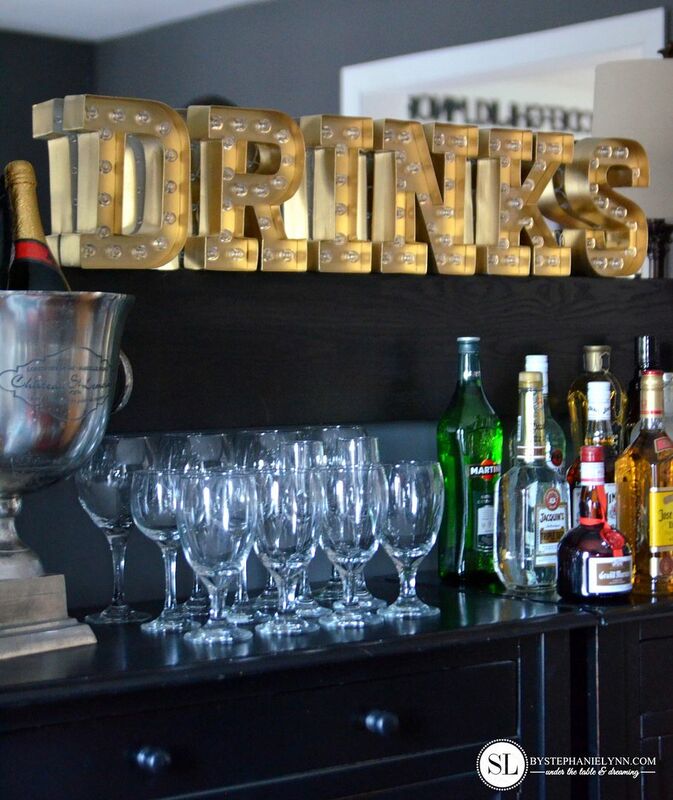 I really like the versatility of the simple gold letters as they can be used for any type of entertaining – from a fun kids party to an adult open bar. And the lights are simply fabulous! This post is brought to you by Michaels . The opinions read here are entirely my own. Want to see more Marquee Love? 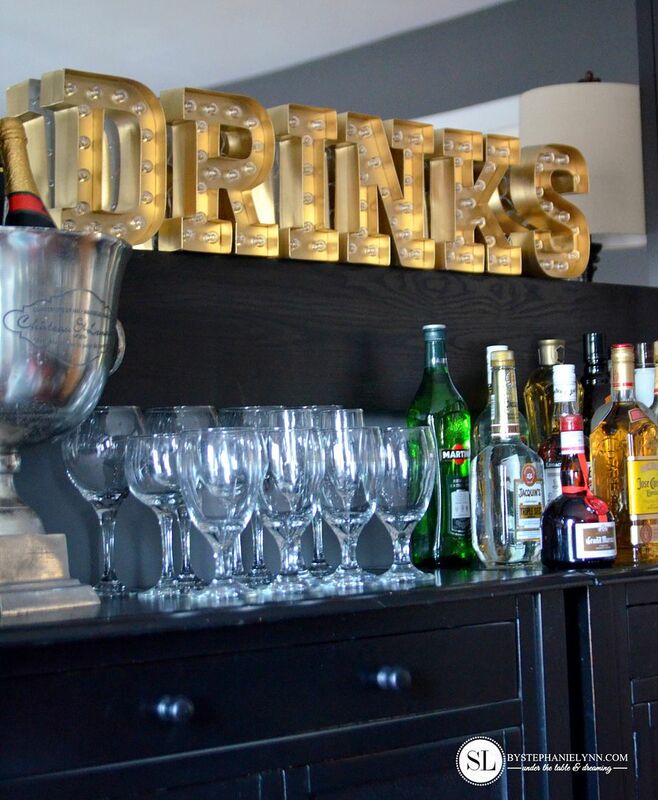 Stop by Michaels’ Pinterest Board for more inspiration. WOW!!!! Over the top festive! How much spray paint did it take to cover all of those letters? One can was more than enough. Hi Haley – The letters were sprayed as-is. They were not primed or sealed and have held up.